There’s no good investing in a quality sub-woofer if you’re going to neglect it. The trick to prolonging its life and getting the best sound-quality for longer is to maintain it well and regularly clean it out. But don’t worry it’s not as tricky as it sounds! 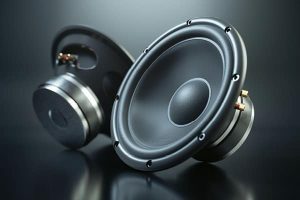 Here’s a quick guide on how to properly care for & clean your car’s subwoofer from the sound system experts in Sydney. That wasn’t too bad right? In fact, you’ll probably find that you will have all of these bits in your house already, so there’s no excuse not to head outside now and give your subwoofer a clean. Ready? Start off by cleaning the outside of your subwoofer using a clean cloth. Be thorough and clean everything from top to bottom. Shouldn’t take you more than a minute to do this first step. Of course, this step varies depending on the model of the subwoofer that you have. Some will have screws, others will not. If you have to unscrew your grill, be sure to clean the screws as well. It pays to be thorough! Using your cloth and trusty paint brush, clean the narrow reaches of the subwoofer. Of course, any remaining dust which will be quite tricky to reach or clear out should be removed with a vacuum. – However, be certain to use a low setting. Don’t go poking an industrial strength hoover inside your subwoofer! Again, carefully clean the inside of the cone. Don’t bother with water or anything like that, as you’re only going to be clearing dust. Do so very gently and rub your cloth in a circular motion. Take your time! Once you’re done, piece the clean parts back together again. – And that is pretty much that in a nut-shell. Cleaning a subwoofer isn’t really that big a task, but it does require a bit of care. You shouldn’t have to spend all that much time on the task though, so aim to do it at least once a month if you want to take care of it properly. 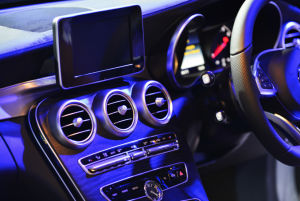 Provided that you keep up regular maintenance, you should be able to enjoy a long and healthy relationship with your subwoofer; just try not to overwork it. Find the optimal settings for your subwoofer and you’ll be able to play your music it a reasonable level without blowing it out altogether!